The Pangu team has delivered an untethered iOS 8 – 8.1 jailbreak when we least expected it. Having surprised us with the impromptu jailbreak for iOS 7.1.x, the Chinese team has come through with another solution for the all-new iOS 8.x. As mentioned in our initial coverage, dubbed as Pangu8, it works with iOS 8.0 all the way through to the latest iOS 8.1, and below, we’ll be showing you how to jailbreak your device using the tool. The updated Pangu now includes Cydia as well. The following guide will help you jailbreak your iOS device on iOS 8.x and install Cydia on it. Before jailbreaking, you must turn off any lock screen passcode or Touch ID (Settings > General > Touch ID & Passcode > turn off Simple Passcode) as well as Find My iPhone (Settings > iCloud > Find my iPhone), and naturally, your device will need to have spare storage space in order to run Pangu in the first place. Passcode and Touch ID can be turned on after the jailbreak and Cydia installation is complete. Turn on Airplane mode. Airplane mode can be turned off once jailbreak is complete. You must have an iTunes restored version of iOS 8 / 8.1 installed on your device for the jailbreak to work. If you updated from iOS 7.x to 8.x via OTA then the jailbreak won’t work. You can download iOS 8.1 from here, and restore using iTunes. Make sure you backup your device completely before proceeding either through iTunes or using iCloud (Settings > iCloud > Storage & Backup and turn on iCloud Backup). At this stage, there’s a reasonable chance that something may go wrong, and while many of you will undoubtedly be prepared to take this chance, you don’t want to lose your data for good. You must have iTunes 12.0.1 or later installed on your PC before you can even begin. But that’s not it; it should also be running in the background when the jailbreak process is taking place. Given that it supports the latest iOS 8.1, we’d recommend updating prior to following this tutorial. As we noted before, the tool only works on Windows, OS X version will be out at a later date. Step 4: Click on the big ‘Start Jailbreak’ button in the center of the display, followed by ‘Already did’ on the next screen to begin the jailbreak process. Your device will reboot couple of times during the process so be patient. Step 5: Once the Pangu tool says ‘Jailbreak succeeded’, that’s it. 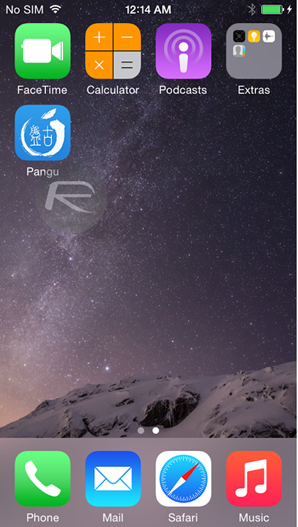 It’s done, you will find Pangu app along with Cydia app icon on the home screen. Simply run Cydia and start installing your favorite tweaks! 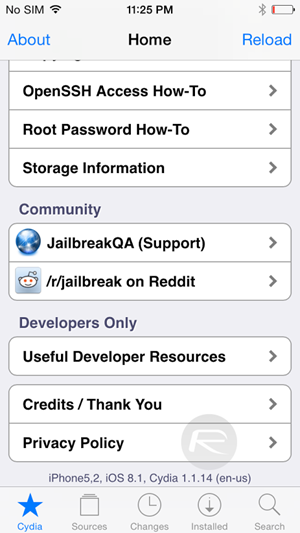 Already jailbroken using older Pangu 1.0.1 without Cydia bundled? they are saying that my itunes version is too old and that i need to upgrade itunes to version 11.2 ! install iTunes 64 bits instead of 32 bits. Hope it will work! your iTunes is too new for it to identify, better downgrade your iTunes to the older version… (if you can)… I think apple already patch those issues… goodluck! Do not use ebay for սոⅼοсking!! There are a lot scams that sell սոⅼοсkings which could damage your phone, a lot of us might appear to have lots good feedback, but people have reported that their phone is bared by its carrier after around 6 weeks. You should utilize professional service like just google atttiphooneuunlocking, I have tried it for so a lot of my phones, we can even unlcok the most recent 6S and 6C.